Colorful, freshly-picked vegetables are Nature’s Bounty: Red, ripe and juicy, dark green and leafy, or bright orange and crunchy. This rainbow-colored smorgasbord is at the top of its class when it comes to foods that keep our arteries clean and healthy. Head for your organic grocery and take advantage of the phenomenal medicinal power of natural plant compounds. Buy vegetables fresh, buy them often, and fill your body with the full spectrum of healthy colors. They are truly Mother Nature’s medicine chest! 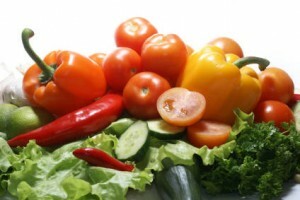 Research shows that the death rate from heart disease drops with each added vegetable serving. This is why phytochemical-rich vegetables, such as spinach, are part of an eating plan I developed to reverse heart disease, and/or to build good heart health. The other key food groups in my plan are olive oil, salmon and other seafood, figs and other fruits, lentils and other legumes, walnuts and flaxseeds, oatmeal and other whole grains, and (last but not least) red wine. Dark chocolate is a “bonus” food in this plan. Yippee! I like to visualize the colors of health by classifying and color-coding vegetables into six colors. I then divide them depending on their individual concentrations of phytochemicals (plant warriors defending against free radical destruction). Dark leafy greens and cruciferous vegetables like spinach and broccoli. Red or purple vegetables such as tomatoes, eggplant and beets. Yellow or orange vegetables like carrots and pumpkin. Allium vegetables like garlic and shallots. Green herbs such as rosemary and basil. Other healthy vegetables such as artichokes and zucchini. Increasing your body’s levels of antioxidants. Helping to prevent and/or mitigate diabetes. One added advantage of frequent vegetable consumption is that veggies are the perfect diet food: loaded with nutrients but very low in calories. 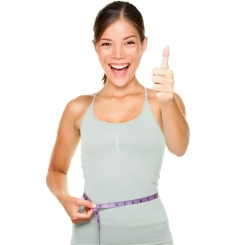 Eating your daily vegetable ration will also aid you in managing your weight. Remember, being overweight is another major risk factor that increases your odds of having a heart attack. Eat a dark green salad at lunch and dinner on a daily basis, whether eating in or out, and remember to dress the salad simply with extra virgin olive oil and wine vinegar and/or fresh lemon juice. 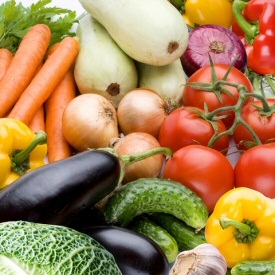 For a quick and healthy snack, try purchasing pre-washed, bagged, and pre-chopped vegetables. Put them on a sheet of tin foil, dribble on some extra virgin olive oil, and roast at 425°F for at least 30 minutes. Store them in a container in the refrigerator. When you don’t have time to prepare fresh vegetables, grab bottled veggies in a jar, such as corn or roasted red peppers. Just be careful of the added sodium, and if the vegetables are packed in oil, make sure that it’s olive oil. Add fresh herbs to your olive oil or mix them into your salad dressing (olive oil vinaigrette) to add extra flavor and antioxidant power. If the weather’s nice, light the grill and roast some vegetables coated in extra virgin olive oil. If you’re on the run, you can always get a rainbow of colorful vegetables at your local salad bar (these days, even supermarkets have them). But pass on the mayonnaise or veggie selections with added oil. Load up on the plain colorful vegetables instead and dress them with olive oil and a touch of balsamic vinegar. Remember, no lunch or dinner is complete without a rainbow of vegetables! You will probably be amazed at how some dishes truly come alive with the addition of colorful vegetables. All these recipes are sure to please the palate – and boost your heart health in the process!